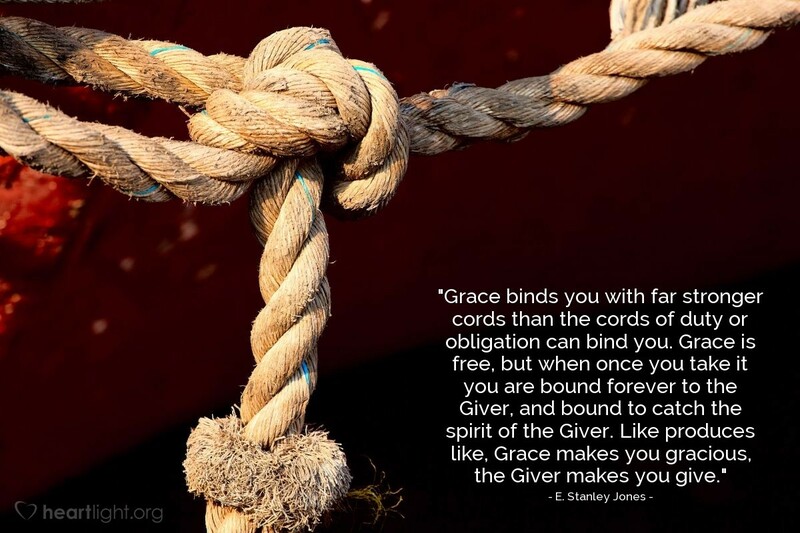 "Grace binds you with far stronger cords than the cords of duty or obligation can bind you. Grace is free, but when once you take it you are bound forever to the Giver, and bound to catch the spirit of the Giver. Like produces like, Grace makes you gracious, the Giver makes you give." Quotemeal is a daily dose of Christian quotes to inspire and encourage. Get Quotemeal by EmailJoin 1/4 Million Daily Readers!